In my last post I discussed in general terms the importance of interleaving topics during practice and of using spaced repetition to keep information readily retrievable. In this post I’ll give you some details about how practice of some particular math skills would look when organized according to these principles. One aspect of math instruction that students, teachers, and parents spend considerable time on is developing automatic recall of the so-called “arithmetic facts.” Here is a good way to organize this practice of the addition and subtraction facts. First of all, it is important to emphasize that efficient practice comes only after the student has had sufficient time to explore the relevant concept with various models. For basic addition facts, that means that students have had considerable experience combining quantities of objects and removing some objects from a quantity of objects and recording the results using the appropriate math symbols. Students also need extensive experience with a variety of materials to explore how a single quantity can be broken up in various ways. Doing activities in which students have to move on a number line is also very useful, as is using fingers readily to perform calculations. After the student has developed an understanding of what addition and subtraction are through this experience, then it is important that she commit the basic facts to memory. This is not only to allow her to perform multi-digit calculations fluently, but it also helps to firm up her understanding of key number relationships that will allow her to grasp multiplication, division, and fractions more easily. To begin recall practice, it is useful to start with a selection of just 3 facts. These facts should NOT be in the same family. I begin with 7 + 5, 9 + 7, and 4 + 4. I present these on a sheet in which the facts are repeated multiple times along with their “twins,” 5 + 7 and 7 + 9. I do not let the student write the answer, but rather just say the sum out loud. (Many students when writing answers on timed fact practice sheets as these will copy previous answers when a sum is repeated rather than attempt to recall it from memory. I introduce the work by telling the student that she has made great progress in learning about addition and subtraction and is very good at figuring these out by counting. Now it is time to move to the next step and help her learn the basic sums so she can remember them automatically. I tell her that today she will be working on memorizing 3 addition facts. I show the student the first 3 calculations and ask her to calculate the sums. After she correctly does a sum, I have her repeat the entire number sentence immediately (e.g., she should say, "seven plus five equals twelve.") After she has stated the three sums in this way, I tell her that the rest of sheet has only those 3 problems in mixed-up order. Then I ask her to continue with the rest of the sheet, saying the correct sum out loud. If the student doesn’t say the correct sum in 3 seconds or less, I tell her the sum and have her repeat the whole number sentence before going on to the next one. I continue either until we have completed the whole sheet or she can do a couple of rows quickly and without any mistakes. To provide an initial dose of spaced repetition, I have the student do some other work for 2 or 3 minutes and then do the sheet again. I stop once she can do several rows easily and then come back to the sheet at the end of the lesson. Most students will quickly be able to provide the sums from memory by the time they are finished with a sheet that contains 36 sums. If they did still have difficulty recalling the sums automatically, I would repeat the sheet during the subsequent lesson. When the student can recite the facts on the first sheet easily, I would then have her use the same routine to practice the 5 related subtraction facts, namely 12 - 5 = 7, 12 - 7 = 5, 16 - 9 = 7, 16 - 7 = 9, and 8 - 4 = 4. The procedure for this practice is the same, except that after presenting 18 problems containing only the subtraction equations, I mix or “interleave” them with the addition facts she had practiced in the previous lesson. I continue in subsequent lessons with this sheet until the student can easily recall all of the addition and subtraction facts on the sheet. Once the student can do this sheet easily, I move on to the third sheet, which introduces three new addition facts. Again this sheet presents 18 sums to calculate containing only these 3 calculations, followed by a mixture of these calculations with the other calculations that the student has done. Ideally the sheets should be practiced 3 or 4 times a day, with each practice sessions lasting just a couple of minutes. Students find this method of practice quite motivating because by focusing on just 3 new facts each new lesson, they find that they can remember the new facts easily with just a little bit of concentrated practice. Moreover, as they develop a foundation of automatically recalled facts, they will find the future facts easier to learn because they can see more readily how they are related. 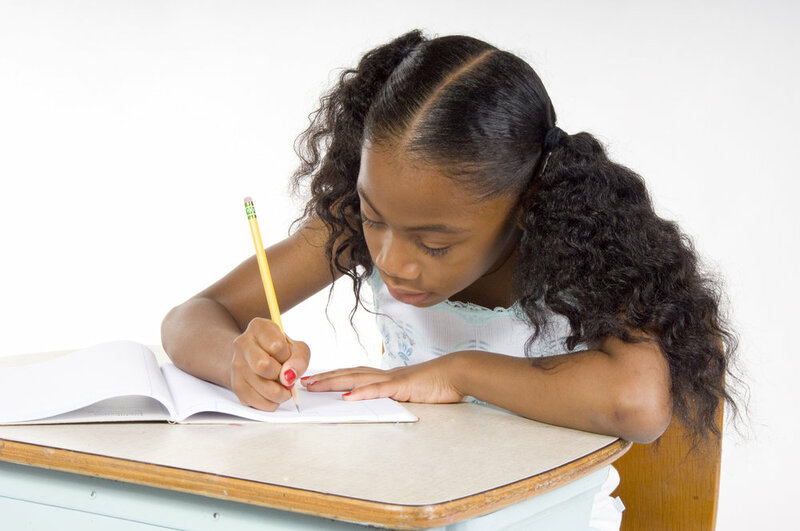 Many students, teachers, and parents are familiar with somewhat similar fluency practice in many classrooms and tutoring services under the guise of the “mad minute,” in which children fill out a sheet of calculations in a minute and are timed on them. Some students find the timed minute assessments intimidating. Fortunately, when working one-on-one with a student, it is not difficult to assess their fluency adequately enough without the pressure of formerly timing them. Because in this format the teacher provides the correct sum or difference if the student cannot provide it in about 3 seconds, all she has to do is count the number of times she provides the answer. If it is more than 10% of the time (4 or more times on a sheet with 36 problems), it is a good idea to review the sheet again before going on.